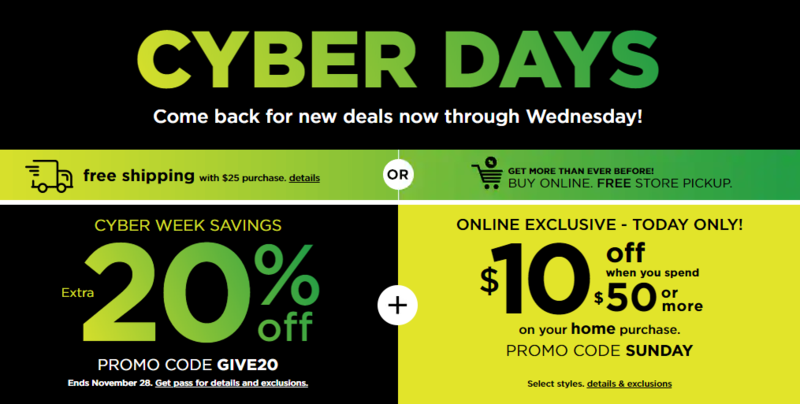 Cyber Week is already in FULL SWING!! 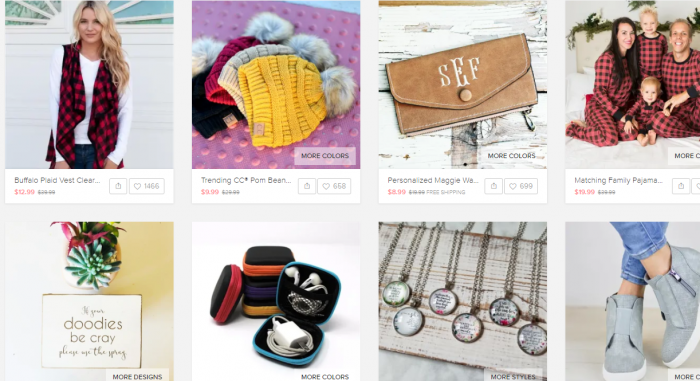 We are finding TONS and TONS of amazing deals. Not all of the deals will be on our site. To see them all, make sure you are checking our Facebook Group! 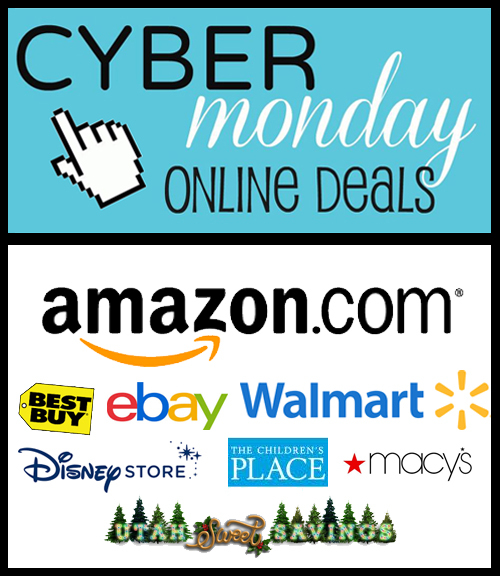 That is where you will find all the Amazon Deals as well as other HOT deals that will sell out FAST! 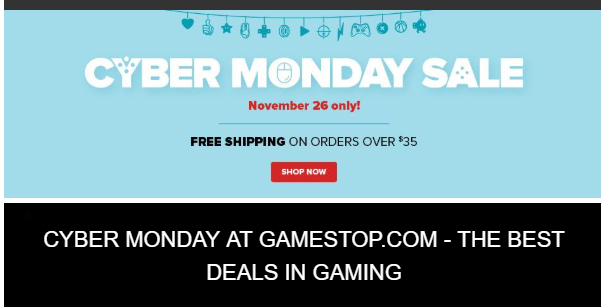 Below is a list of stores with direct links to their Cyber Week sales, as well as any quick information we know about them! 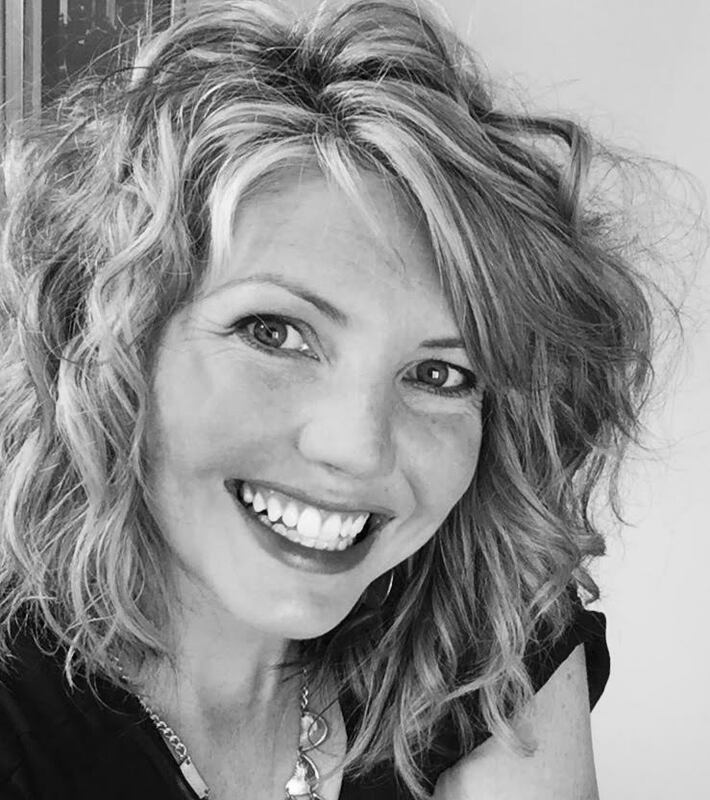 Did you know that when you go through our links you are helping to support Utah Sweet Savings and our Families? Thanks for using our links and for the support!! 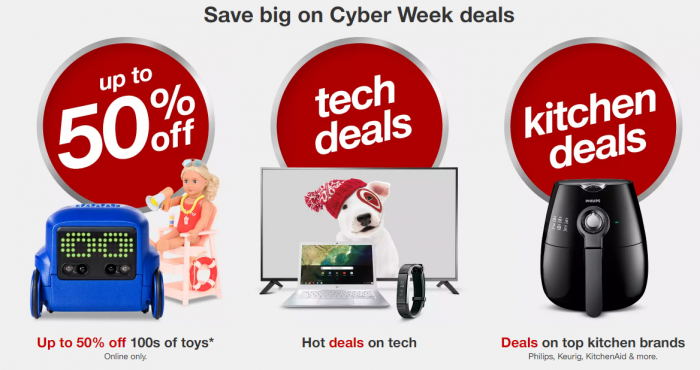 Ace Hardware – This Cyber Monday sale is Live Now! All the Amazon deals we find will be in our Facebook Group. 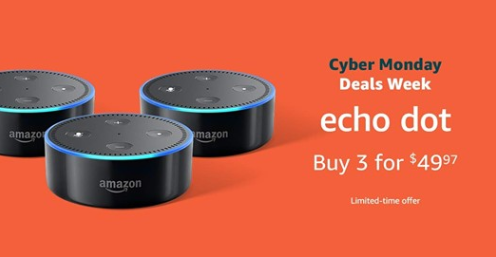 Buy 3 Echo Dot (2nd Generation) for only $49.97!! 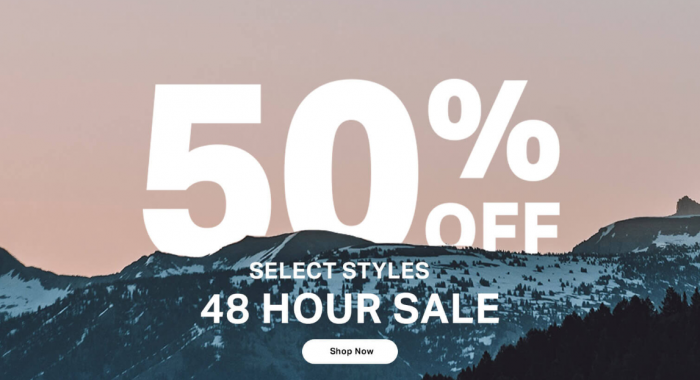 Backcountry – This Cyber Monday sale is Live Now! Free EXCLUSIVE LEGO Harry Potter Mini Figure 4-Pack when you spend $75 or more on LEGO! while supplies last! 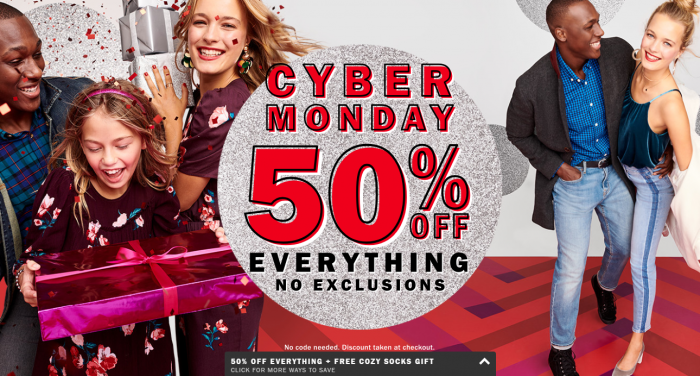 The Body Shop – This Cyber Monday sale is Live Now! TIG V-NECK PULLOVER SWEATER $27.47 – Lowest price EVER! It will never be lower than this! 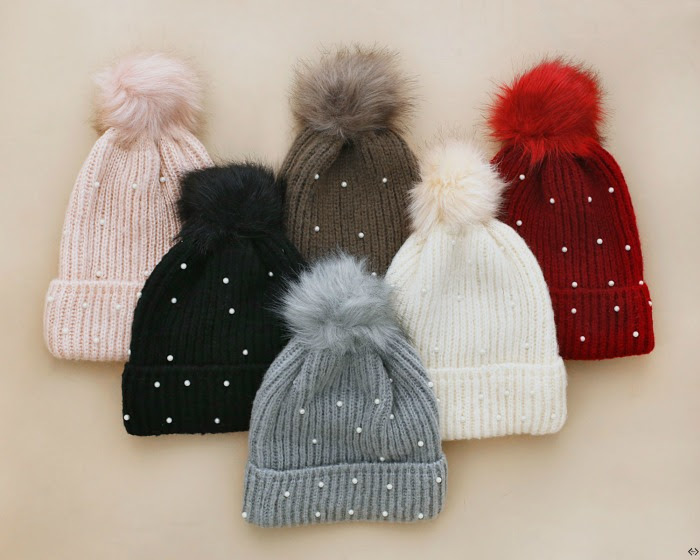 Also at checkout, be sure to add on this darling Beanie for just $5.99! There will be a popup that will offer you this deal when you check out. 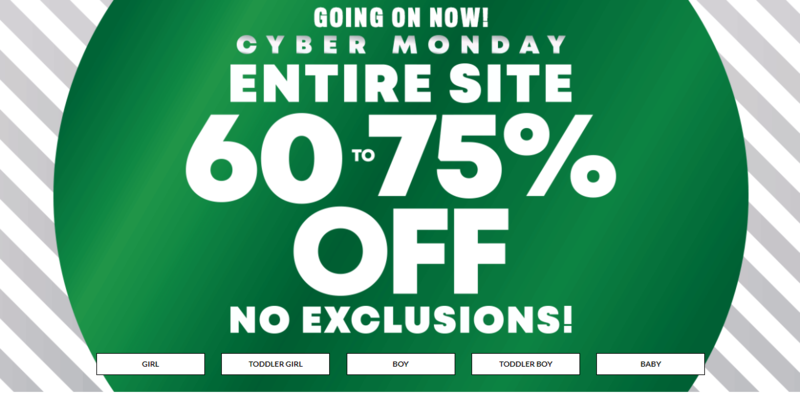 Children’s Place – This sale is Live Now! 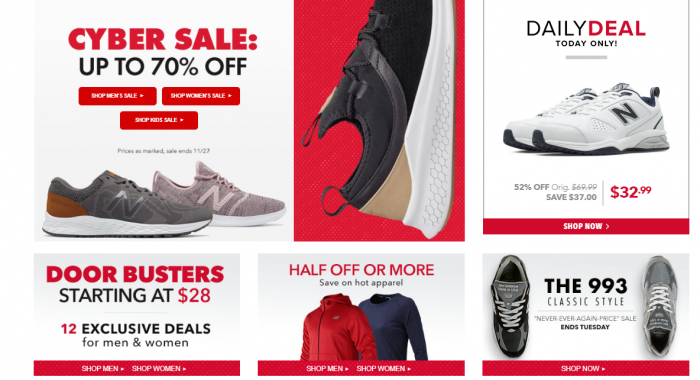 Crazy 8 – These deals are Live Now! $4 Tees and Microfleece, $7.10 Jeans, $12 Puffer Jackets, and $6.40-$8.00 Dresses! 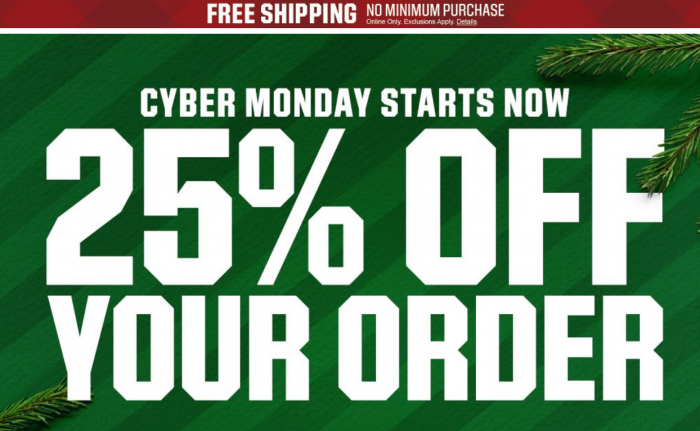 24% off Your Entire Order! 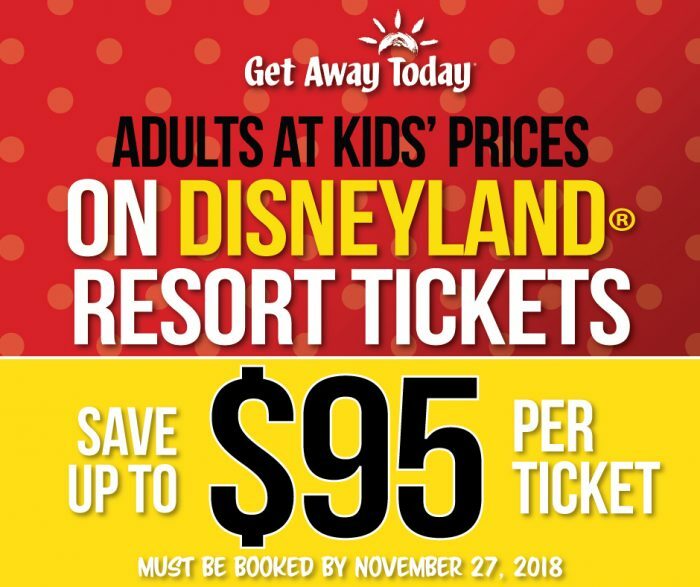 Disneyland: Adults at Kid’s Prices! 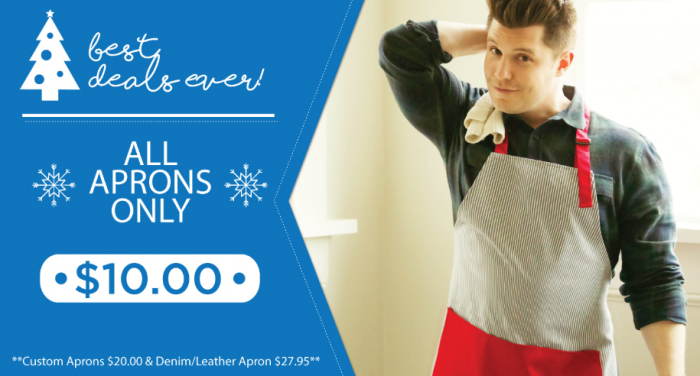 *Buy Now – Use Any Time in 2019* + Extra $10 off! 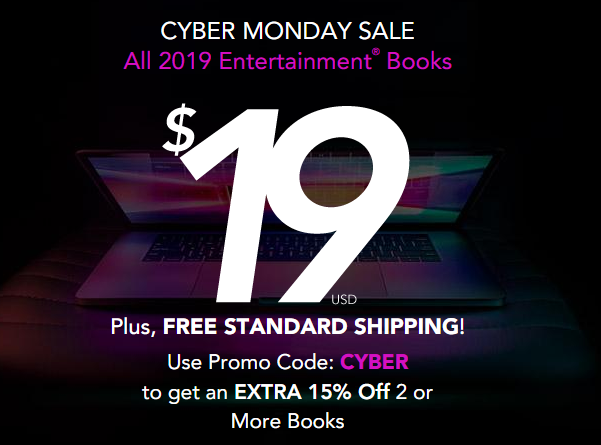 Use code CYBER to get an extra 15% off 2 or more books! 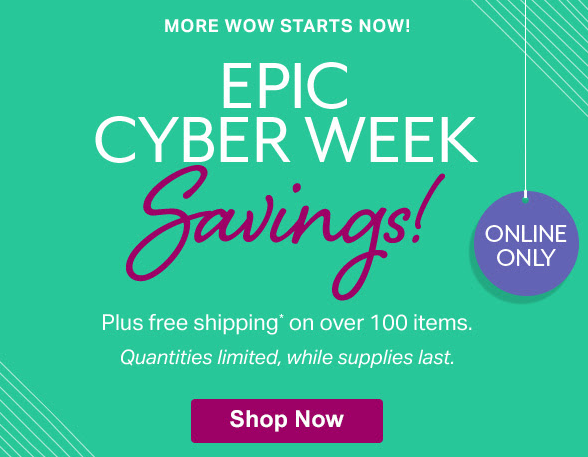 Check their deals out RIGHT HERE – Hot Bundle Deals! Two Items for as low as $20.00! $10.00 each! 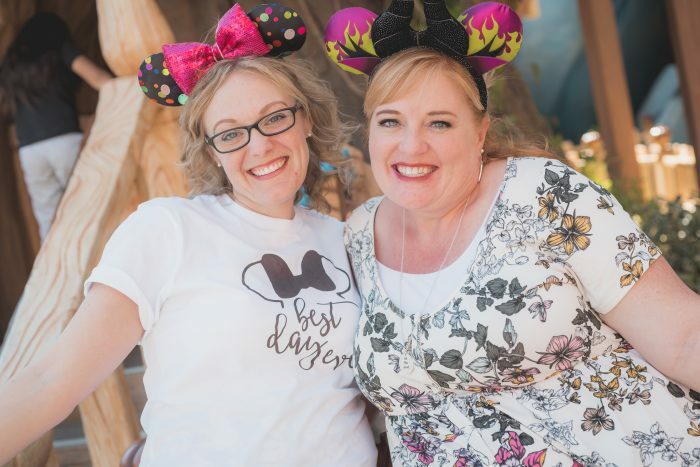 Funsaver – Local Utah Deals! This sale is available now! Utah Grizzlies Hockey Tickets from $4.50 (Reg $15)! 1-Night Hotel Stays for $48.30 at Various Hampton Inn, Holiday Inn, and Marriott Hotels! Use code WELCOME10 to get 10% off your entire order! 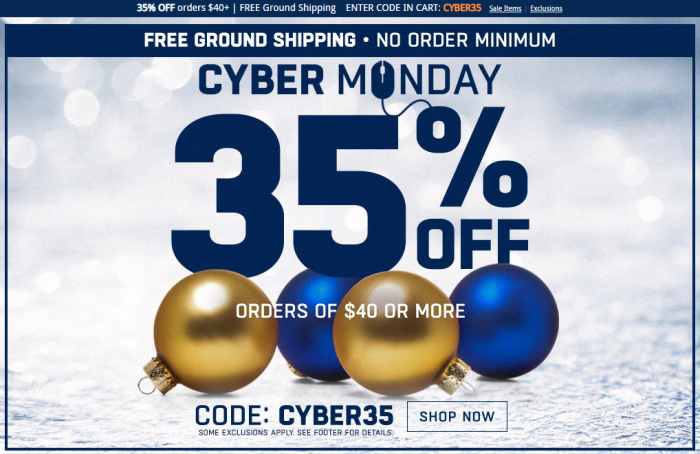 Up to 40% off + Free Shipping on Select Items! 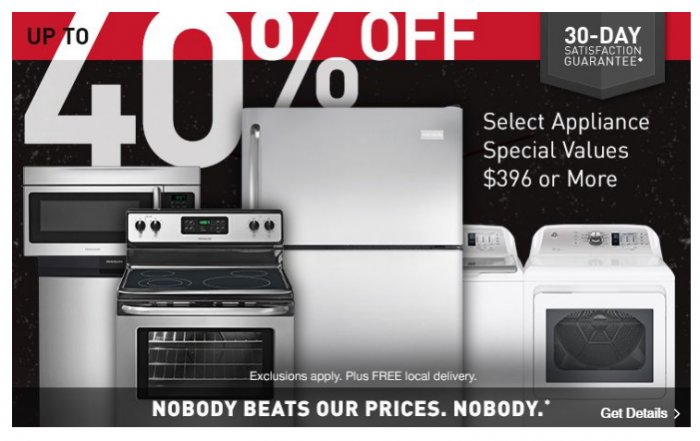 Up to 40% off select Appliances + Save up to $500 Instantly! Free Power Tools with purchase of Qualifying Tool Kits! 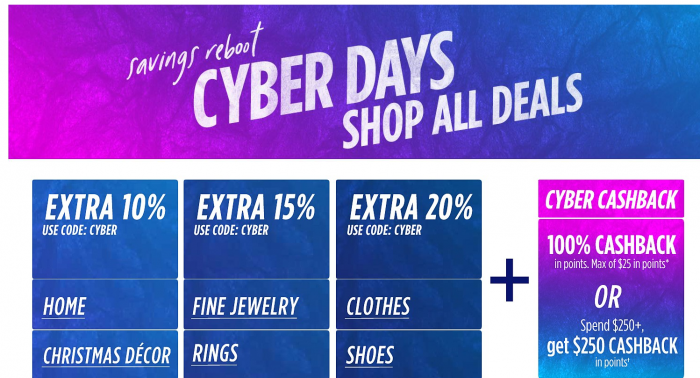 Shop there Free Shipping Cyber Monda Deals – Right HERE! 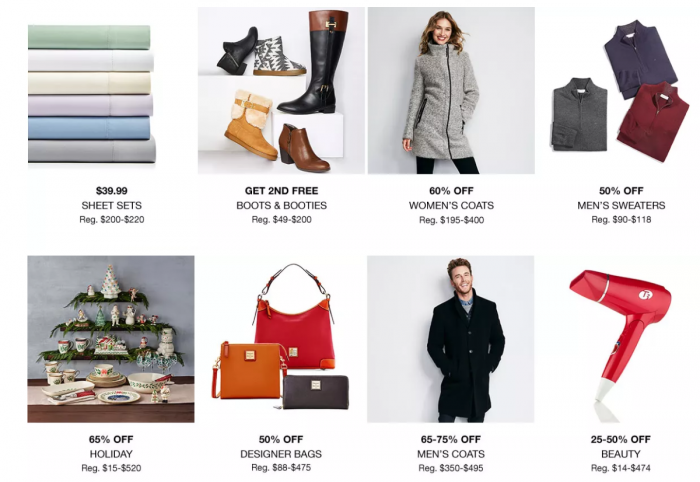 Extra 30% off when you spend $100 or more, Extra 25% off when you spend under $100. $3.74 Liz Claiborne jacobean or signature plush 30×56″ solid bath towel. Reg $20. We should see a new bonus code good for one-day only throughout the week, too! 2019 Lagoon Season Passports just $109.95 each + tax! 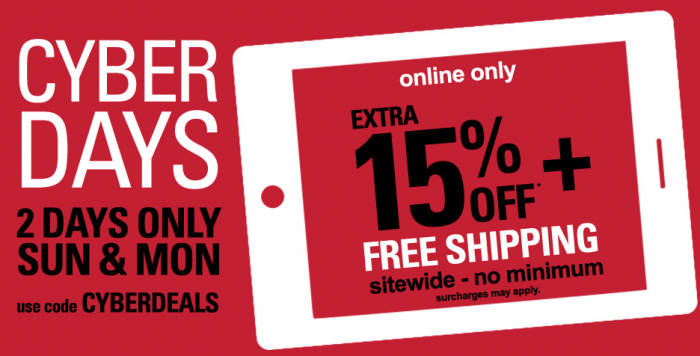 Tons of savings on Tablets, Video Games, and More! 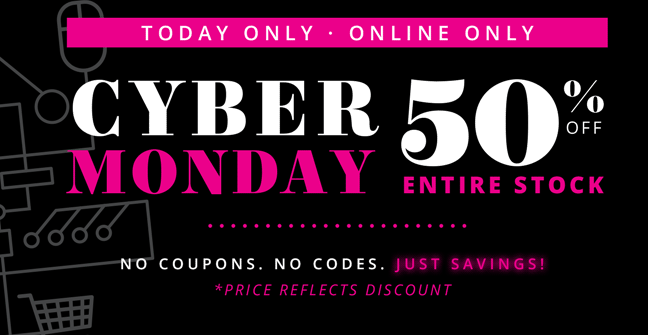 Cyber Monday deals; online only; while supplies last. 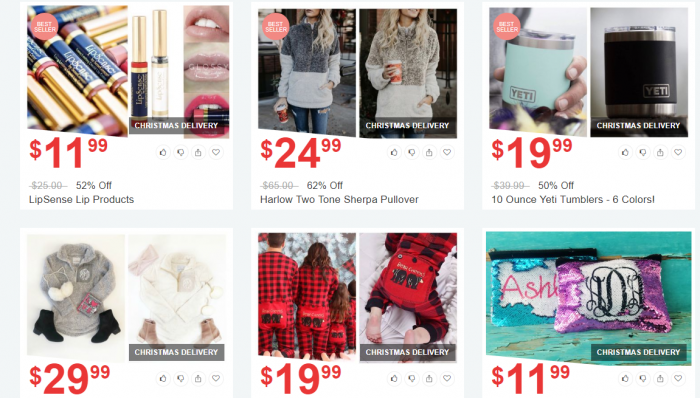 Early Bird & Night Owl Sale – Extra savings on 12 New items Every 12 Hours! 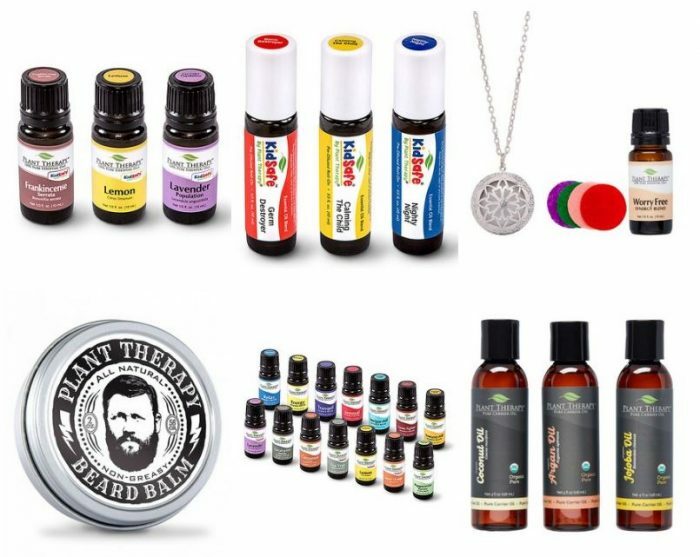 Plant Therapy – 25 Day of Deals Begin on Monday! 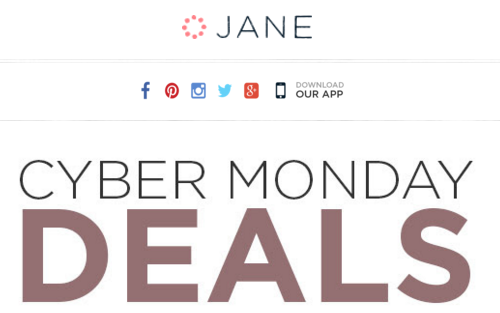 Monday – $15 off $50 Purchase! 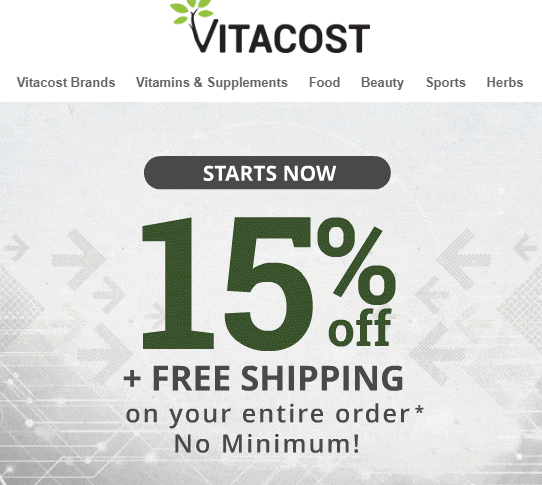 Check our site daily for the new deals from now until Christmas! This is last year’s sale. We will update when we see this year’s sale go live. 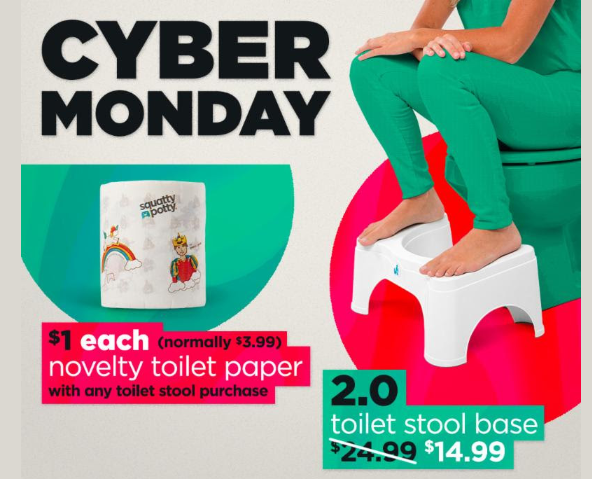 Squatty Potty – This is Live Now! Up to $30 off select Amazon tablets. New models now available, including the Fire HD 8 Kid’s 8″ 32GB models. Up to $60 off select Amazon streaming and automation devices. 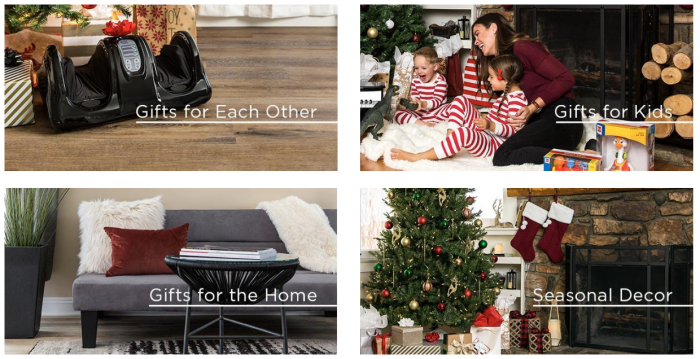 40% off select custom holiday cards and invitations. Spend $50. Get $15. Spend $50 or more on Print & Marketing Services and get $15 off your next Print & Marketing Services purchase. 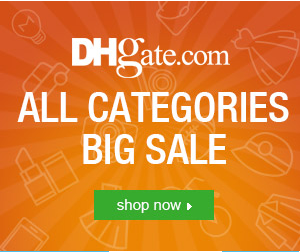 Doorbusters and Extra Discounts available! 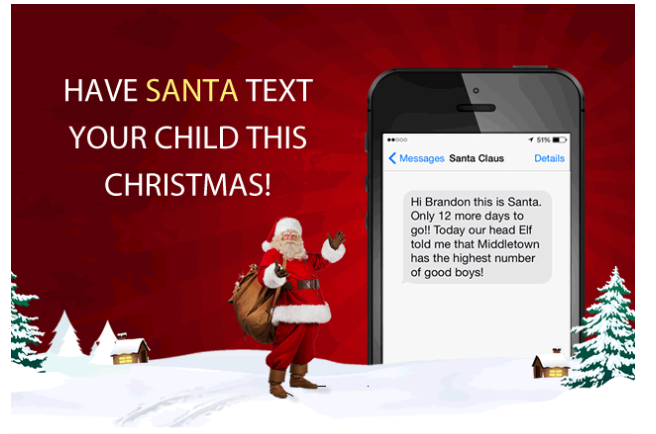 Texts From Santa – use code CYB50 to get an extra 50% off!